A vacation length thru-hike is a Holy Grail for many backpackers: A way to accomplish a set trail (or route) without having to disrupt their lives and can be done without any major logistic hassle. I’ve written a similar article before for Gossamer Gear. But after my Collegiate Loop hike, I realized there are more to “vacation” thru-hikes than simply mileage. When on vacation, time is limited. And if you have a job that consumes time, even pre-trip planning time is a precious commodity. Can comfortably be done by most in two weeks or less. A three-hundred-mile long trail can be done in two weeks or less by a fit backpacker. That is not typical of most experience assuming a 10-15 MPD pace. Factor in driving or flight time, getting to and from the trail, and then getting back, a less than two-hundred-mile trip is ideal. Has to be long enough to feel like a thru-hike. A very arbitrary set of criteria esp considering the pace varies for many people. A 100-mile trek for a person who can average 30 MPD during the summer ends up having a long weekend. A 10 MPD hiker who spends a lot of time in camp will be out for ten-days and feel more immersed. Easy to plan. A vacation length thru-hike ideally has some ready-made materials available for purchase or online. There is something about planning your personal route. It is not something not everyone wants to do; be it because of comfort or skill level, desire, preference, or even lack of time. Easy logistics. You can drive to the trailhead easily and can procure an easy shuttle to get from one end of the trailhead to the other. Or, if you fly in, fairly easy to get to start of the loop and get back. Resupply is easy as well. Little red tape. No complicated permit to acquire. You can get on the trail, just about hike and go. When on the trail, easy to follow and involves “just” hiking. Many increasingly well-known routes are more technically challenging for the advanced backpacker. But these routes may require some skill sets and fitness levels not ideal for the person coming straight from a desk to a trailhead. Esp. if a hiker is not able to get out as much the rest of the year. Enjoyable scenery. If you are spending about two-weeks of your precious vacation time, some eye candy is desired. Lakes, mountain views, wildflowers, etc. A wooded walk can be enjoyable. It is not what most people want for their two-weeks vacation. The sense of accomplishment. Many people want to say they did “something.” A two-week hike in the Rockies or the Sierra that does not take in a lettered route is not as appealing to many. And this type of hike typically requires some more planning than ready-made routes. The John Muir Trail has way too much red tape and planning at this point for most who have a time deficit. May also be a touch too long to hike for most esp if factoring in travel time and shuttling from trailheads. The various, increasingly popular high routes (Wind River, Sierra-based ones, Pffiner Traverse in the CO Rockies) can be logistically difficult requiring shuttles and are perhaps more challenging physically and skill wise than most backpackers wish to do. The Wonderland Trail is on the shorter side and is also becoming a bit more difficult in terms of red tape. The Uintas Highline Trail has easier logistics than years past, but it still difficult to reach and the shuttle is expensive. A bit on the short side as well and some of the trail is navigationally challenging. UPDATE NOVEMBER 2018: I am possibly planning on a hike in New England using the Cohos Trail for 2019 when I am back East for a family wedding. Somewhat easy to get a bus from Logan (Boston) Airport to Gorham, NH or a train from South Station to Berlin, NH or use similar options in Manchester, NH and then make use of a private shuttling service to start and end the hike. 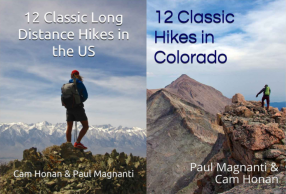 So, taking all these data points, two trails come to mind that may appeal to the typical backpacker for their vacation length thru-hike: The Colorado Trail Collegiate Loop and The Tahoe Rim Trail. Both are the same length (~165 to 170 miles), both are loop trails, have similar logistics, easy planning, are multi-use in parts (MTB, equestrians), and both feature a lack of significant red tape. Additionally, both trails are well marked, maintained and require similar skill sets to hike concerning navigation or physical abilities. Both trails also coincide with a Triple Crown trail. So, which one to hike beyond what I listed above? As usual, it all depends. Even the Collegiate East half feels more isolated than many Eastern hiking trails (in parts), the Collegiate West portion feels like a backpacking experience that is isolated. The Eastern part of the loop is pleasant in parts, but not as many views vs. the Collegiate West. Logistics aren’t quite as easy as the Tahoe Rim Trail. Researching for shuttles are required. Not as many lakes if that is your preference. More physically challenging vs. the Tahoe Rim Trail. About 32k ft climbing vs. 24k ft climbing for the Tahoe Rim Trail. May or not be a con depending on trip goals. Technically, The Collegiate Loop is a sub-set of The Colorado Trail and is not truly its own trail. Again, may or may not matter depending on the person. Higher elevation means more exposure. Consistently more scenery and views. The Collegiate Loop has more dramatic views overall, but also more wooded walks. The Tahoe Rim tends to have good views overall on a consistent basis. Very easy resupply with convenient places to match all paces and trip plans. 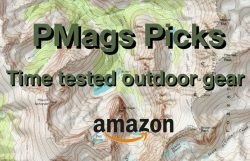 Excellent choice for a first thru-hike or a family thru-hike. Easy transportation from the Reno Airport to the trailhead with public transit. A lettered route if you want to achieve that goal. Less isolated overall. Up close to more ski areas, housing, and local open space equivalents. Never did feel too wild to me. Very busy. The Desolation Wilderness is a scenic highlight. It was also very popular. Speaking of which, not a huge deal, but a permit is needed for the Desolation Wilderness. Easy to obtain, however. Drier trail overall. You need to plan your water carries in more detail. The views are more consistent as mentioned. But nothing as WOW inspiring in my opinion versus The Collegiate Loop. The views, again, reminded me more of local open space for the most part. If you want more a wild experience that is physically challenging, I’d do The Collegiate Loop. If you enjoy more lakes, want an easier hike physically, planning, resupplying, and logistic wise with more consistent views, like the idea of completing a lettered route, consider hiking The Tahoe Rim Trail. As mentioned, The Tahoe Rim Trail is also a fantastic first thru-hike or family thru-hike. In the end, both of these routes are an experience spending up two weeks backpacking and being outside. Both of these routes are a good experience. One just may be a better choice depending on your trip goals, abilities, background, or access to these areas. 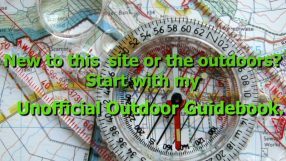 First info: The first place to stop for route information for The Tahoe Rim Trail or The Colorado Trail’s Collegiate Loop are the organizations’ websites. Overall planning: I am biased, but check out my guide for The Colorado Trail with Collegiate Loop info. The Tahoe Rim Trail Association has a very good planning page (transportation options, permits needed resupply, etc) for that trail. Maps: Again, super easy. The resources needed for both trails are straightforward. The Collegiate Loop, the NatGeo Collegiate loop map was excellent. Just enough scale for the wider overview and detail required. For the Tahoe Rim Trail, a similar map is available by Tom Harrison (the map guru for the Sierra and nearby). Databooks: For quick, at a glance info, both The Collegiate Loop and The Tahoe Rim Trail has similar resources. Apps: For your smart device, Atlas Guides (Guthook) has apps for both The Collegiate Loop (via The Colorado Trail) and The Tahoe Rim Trail. Resupply: My guide for The Collegiate Loop/Colorado Trail works well. The Tahoe Rim Trail Association has an informative page for resupply info. Accounts: My recent account of hiking The Collegiate Loop is available. Be sure to check out my friends Dave and Malia’s 2016 account of hiking The Tahoe Rim Trail with their two children. Awesome! I did the Lost Coast Trail hike in Northern California in May of last year. There is a North (50 miles roundtrip) and south section (60 miles roundtrip) so I parked in the middle and did both of them as out and back hikes for 4 nights each. The sections are totally different from each other. The north is more popular, all within 100′ of sea level, involving beach/rock walking and not getting caught in high tides. The south is constantly up and down and through forests with ocean views. It can be done most of the year (with rain gear) and you get a permit on arrival – along with a rental bear can if you don’t have one. I saw a gray whales heading north, elk in the southern section and snakes. Most people just go one way and use a shuttle, but this worked great for me. It’s about 5 hours north of San Francisco.